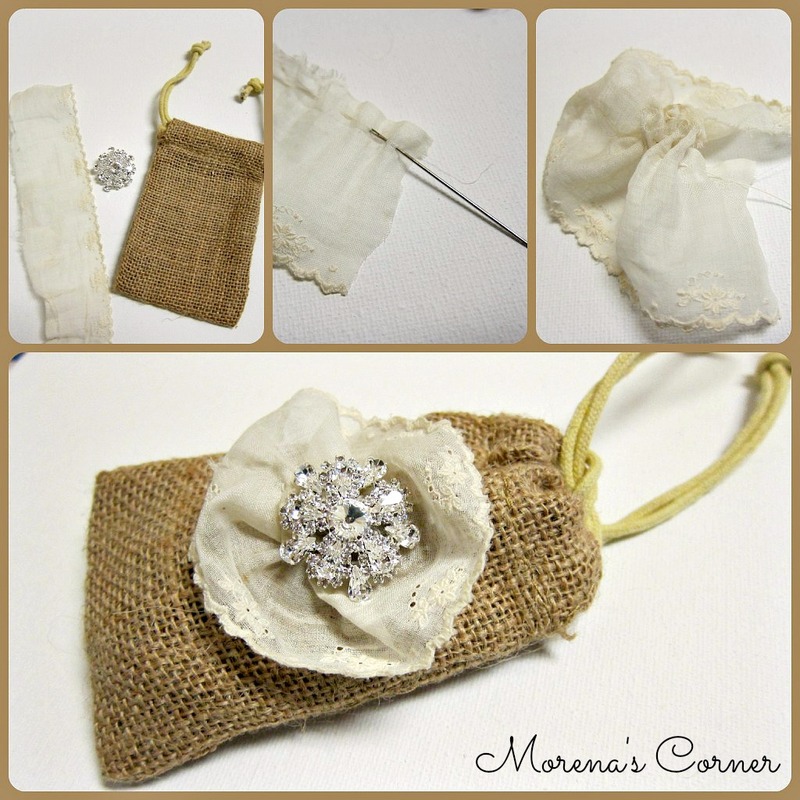 I love how versatile burlap is! You can keep it casual or dress it up like I did with these gift bags. 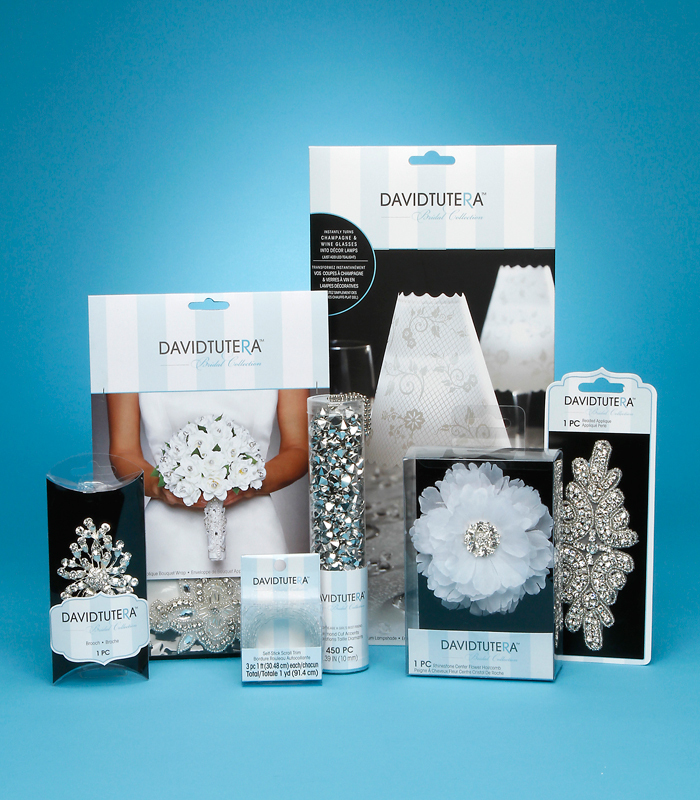 I mentioned here that I would be crafting with product from David Tutera’s bridal line. I received such a variety of product that I was able to create several projects. Even though I was creating for a wedding, you can still use these ideas for other kinds of celebrations. Step one: Cut the lace ribbon. I used vintage ribbon that I had in my stash, and cut it about 8 inches long. Step two: Stitch one side of the ribbon and pull to form a loop. Sew the loop closed. 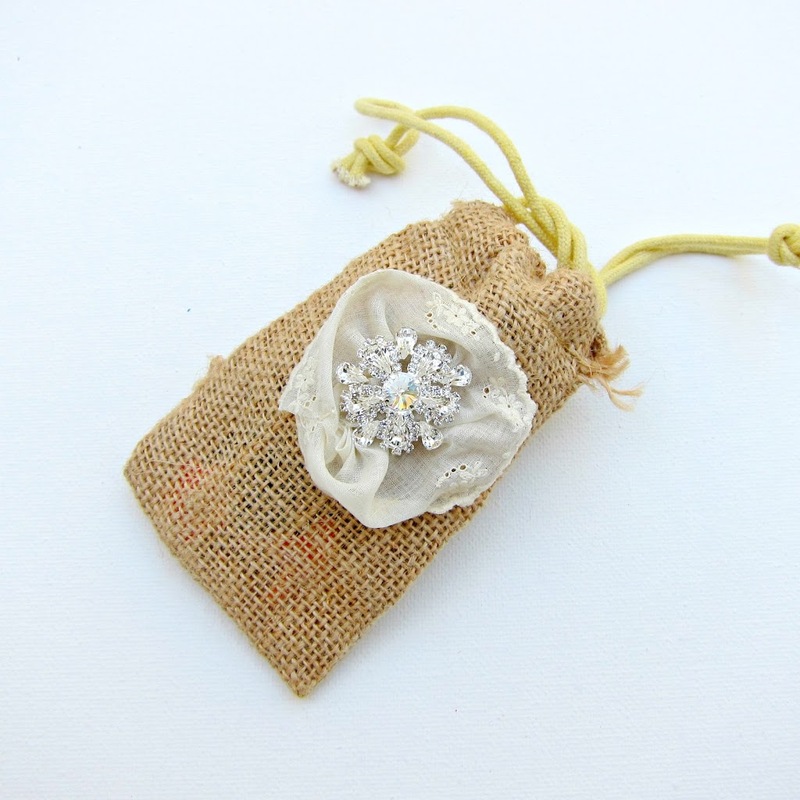 Step three: Pin the ribbon to the bag with the accent pin. 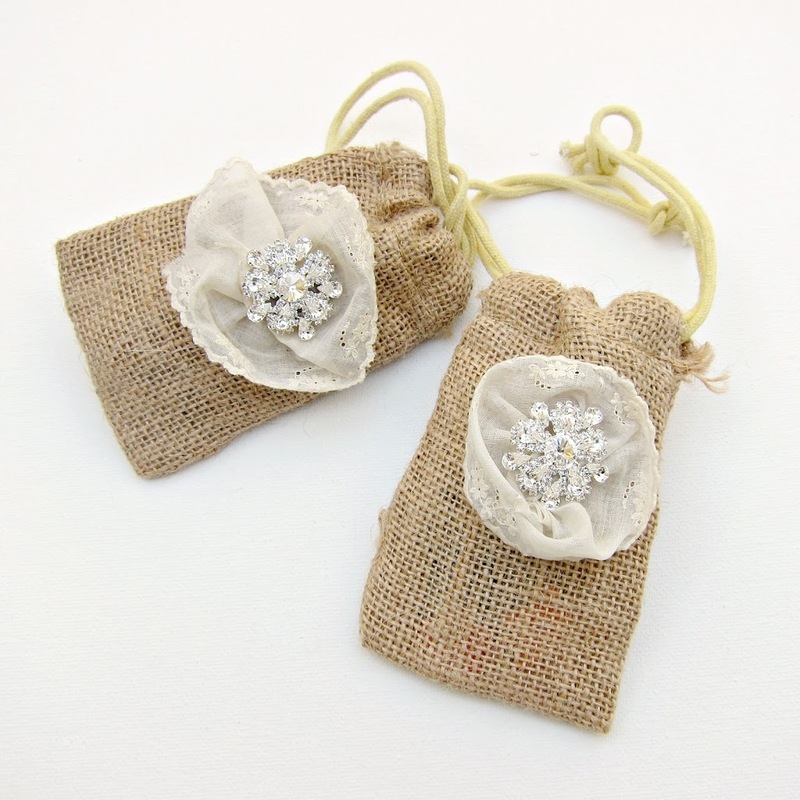 These bags would make a pretty way to present gifts to members of your wedding party. You could fill them with sweets and use them as favors, too. They’re versatile enough that they could be used for any gift giving occasion, not just weddings! Check back next week for more wedding and party craft ideas! These look great! I love burlap, so versatile. 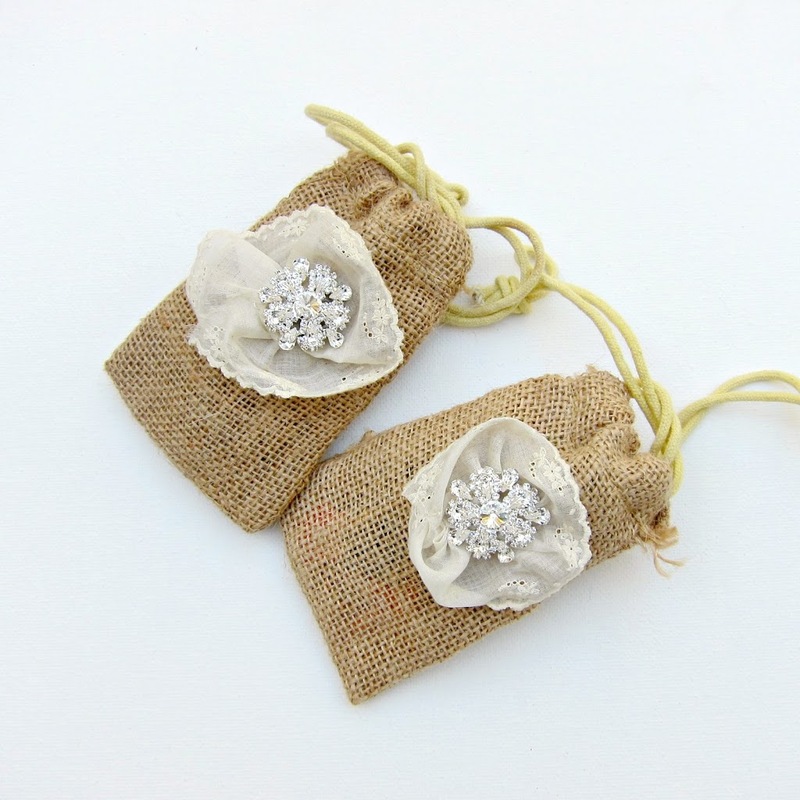 These are so cute…I love the contrast of bling and country!